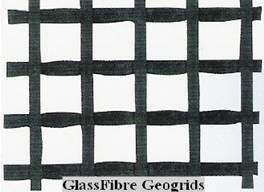 GG range of GlassFibre Geogrids are produced from high tensile fibre glass filaments coated with an inorganic polymer materials. GG geogrids have extremely high tensile strength with elongation at failure lower than 4%. 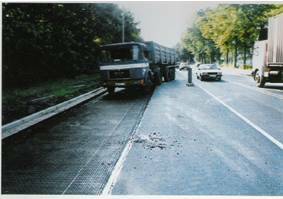 GG geogrids enjoy no long term creep, and the melting point is 1000 °C thus unaffected by the high temperatures of the asphalt. GG geogrids enjoy excellent resistance to construction damage and chemical attack. GG geogrids are supplied with strengths ranging from 20kN/m to 200kN/m. GG geogrids can be supplied with a geotextile backing. The geogrids are manufactured in accordance to the latest ISO 9001 and 90002 procedures. 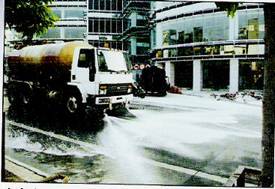 · Prevention of reflective cracking in asphalt pavements. · Prevention of joint cracking between old and new pavements. · Prevention of fracture due to temperature expansion and contraction. · Protection against long term fatigue of pavements. 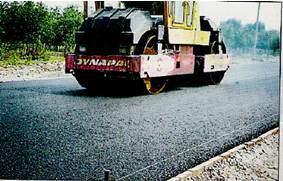 Guarantees extended design life of pavements.